We are back from our trip to Orlando. It was short, but good. We went to the state homeschool convention and since the hotels were a little pricey for us, we stayed at a campground. It felt a little strange to be camping in the middle of Orlando but it was fun. I attended the convention two years ago but it was the first time for Dean and Allie. 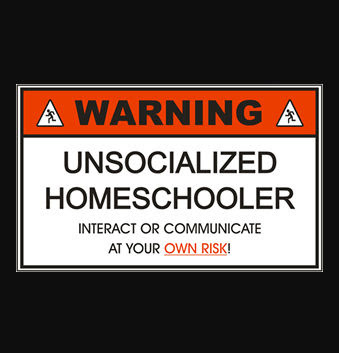 I think it was good for them to see all of the other homeschoolers out there. There were at least 3,000 people there and the conferences were really good. It was a good time to refocus on why we are doing this. There are so many days I want to send Allie to government school because I am tired or feel like I'm not doing a good job. I was reminded the final goal is not how much she knows but what kind of person she is becoming. When I watch her with other people I am convinced we have made the right choices. In fact, I regret the three and a half years she spent in traditional school. I let the pressure of other people and life influence me and made decisions that I did not truly believe in. 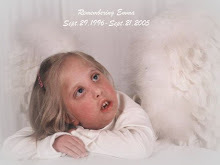 Even when Emma died, I felt so inadequate to continue on the homeschool path because I was such a mess emotionally. I am so glad we stuck it out. I think the worst thing we could have done for Allie at that time would have been to take her out of her home and put her in a government school. We all grew during that time and I'm so glad we did it together. When we got home yesterday her test results were in the mail and she did great! It was just another reinforcement to continue through high school. We are fortunate that Allie loves being homeschooled and we don't have to fight her on this issue. On bad days when I am frustrated with her for being slow or sloppy I bring out the school threat, which is probably wrong but it works! It was a great time of learning and networking, but I had some emotional moments. There were so many families there who had adopted children and every time I saw one I felt such a tug in my heart and an excitement that soon that would be us and fear that maybe it won't. Such mixed emotions. Right before we left, I saw a little girl in a wheelchair very similar to Emma's with a toy bar like we had for Emma. She was playing with the toys and moving her head just like Emma did and my heart just broke all over again. I felt the tears coming and my breath stuck in my throat. I felt so jealous of that family who still have their precious gift with them. 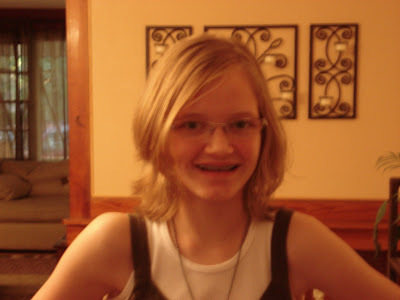 And we also heard about Steven Curtis Chapman's daughter while we were there. My heart aches for them. It created an awkward moment when a woman I had just met asked "Can you even imagine what they are going through?". What do I say to those questions? I could only be honest and say, "No, I don't have to imagine. I've lived it and there is NOTHING worse.". I am so glad they know Christ. He is the only comfort that can get them through the rest of their lives here on earth. The song playing in the background is by Steven Curtis Chapman. I put it up today in memory of his daughter, Maria Sue Chapman, who is with my Emma, dancing with the angels. Steven's songs have brought so much comfort and hope to me over the years and my prayer is that he and his family will find the same comfort today.